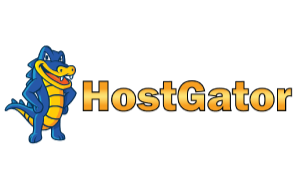 HostGator.com is one of the most widely used website host providers, and serves over nine million customers with privately based and business site accommodations. This host has competitive package pricing with a number of benefits, but also gives consumers an array of server options to fit budget and storage provisions. Along with dedicated and shared servers, HostGator.com also has VPS hosting, and has established its reliability over the past eleven years. They are well rated for customer service and technical support, but also have high quality hardware and solid networking to increase customer uptime. Along with these inclusions, other package offerings allow for reseller hosting, which lets customers earn money while maintaining their own website. These affiliate programs can add incentive, whether a client is business based or has a personal website. This benefit can often accrue substantial rewards, as can Google Adwords. Customer support is another strong point for HostGator.com, and this includes technical and service oriented attention. Clients who opt for dedicated hosting will enjoy the benefits of high powered hardware and a technical maintenance team. VPS clients also get the peace of mind from professional help, whether it is navigating their cPanel or asking advice on site building. HostGator.com is ranked very highly for reliability and security, with daily scans which neutralize threats and a 99.9% uptime average. This includes host migration and data transfers which allow for near instant functionality after a changeover. Continual support and live chat have also helped to build this reputation, although the performance track record is strong on its own. HostGator.com also has one of the easier to navigate site builders, which will walk clients through the necessary steps to customize content and upload files to be published by the host. The provider features over 4,500 templates for unique themes and combinations, and the proprietary site builder allows users to individualize from there. Once the content has been finalized in the template it can be submitted to the HostGator.com server and will be immediately published. Control panel access allows customers to have further authorization over changes and updates, and this can be done for instant publication as well. Both tools allow for good presentation and management of website content, and easy one click installations further simplify this process. HostGator.com is an overall reliable and well founded host provider. Years of experience have perfected networking configurations and hardware usage to give customers a solid hosting package. The customer service support can guide novices and experts to make the most of their web pages, and good pricing and service combinations give accommodations for a variety of website goals. The 4,500 different templates let me build the website I wanted to build while remaining easy and not time consuming. The online support panel really helped me to get my website up and running. The sheer amount of information provided makes me confident that I chose a knowledgeable service. I was surprised by just how easy the control panel was to use, I actually look forward to managing my business websites knowing that I can understand all of their functions. The Magneto hosting offered by this service let me turn my retail store into an ecommerce store in a flash. My customers love the new ability to shop from home, and it has also brought more business to our storefront! The Weebly site builder tool was easy to use and I was able to start and finish my website building adventure within the same day! I was also impressed with just how customizable the entire process was. The 3 different pricing levels allowed me to choose the plan that best fit my business’ needs. I have been impressed with how HostGator.com has improved our web presence so far. I appreciate the convenience that I have being able to receive my website related Emails to my phone. As new customers learn about my site, I am able to keep in touch with them while on the go from anywhere. I love that HostGator.com offers web hosting in an environmentally friendly way. There is no other service I would consider for my organic gardening and produce business. I chose the Baby Plan to get my website up and running, and I have been really enjoying all of the added features so far. I was able to make the page I wanted for my small business and run it easily. Help us to help others by leaving a short review. What was your experience with HostGator?